The Graduate Aptitude Test in Engineering for Postgraduate has been declared on 15th March, 2019. GATE 2019 Results for all candidates who have attempted the GATE 2019 this year. Below is the link for Results of Graduate Aptitude Test in Engineering for Postgraduate. 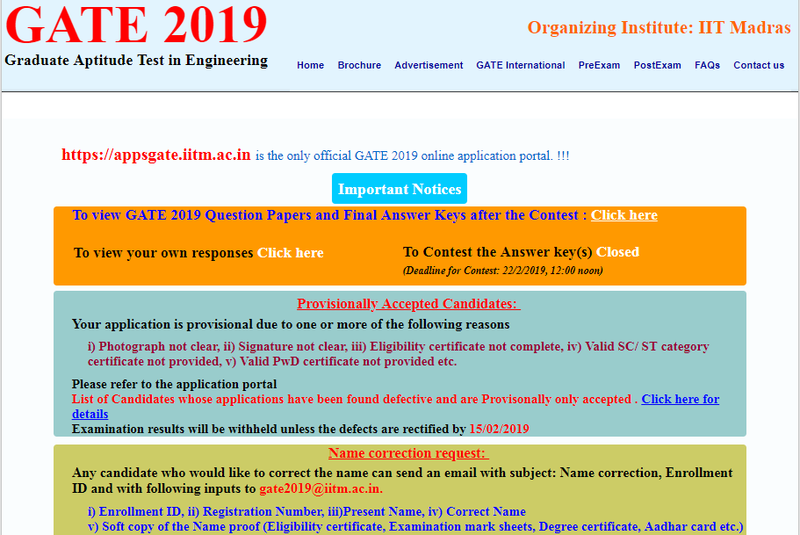 Candidates can check the GATE 2019 result on official website gate.iitm.ac.in.